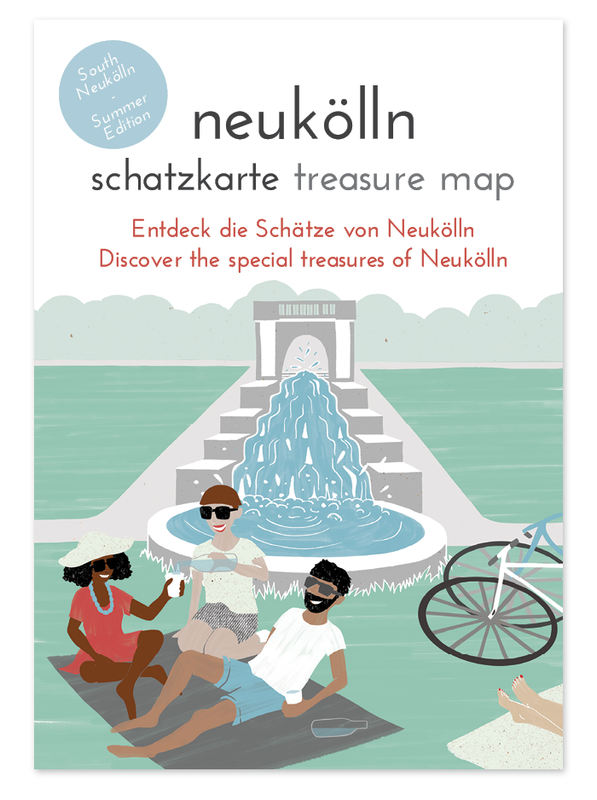 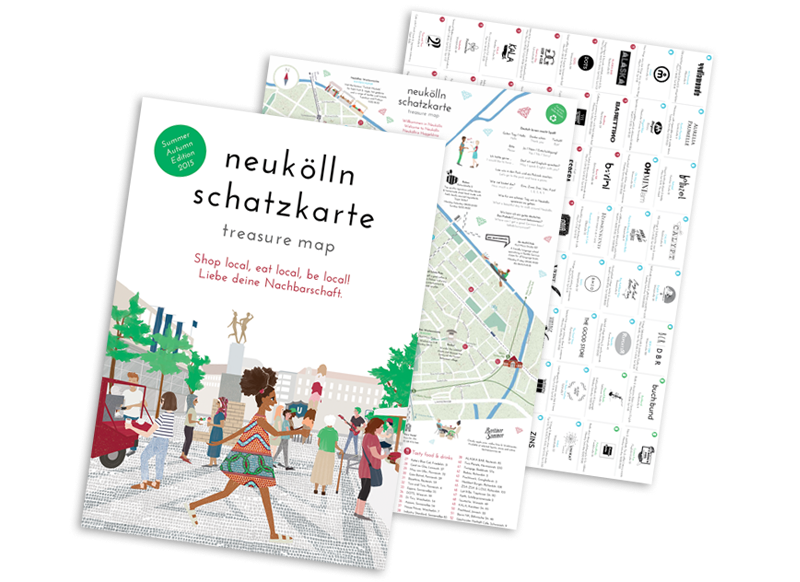 The Neukölln Schatzkarte was the first ‘treasure map’ for Berlin’s Neukölln district – a seasonal printed guide for tourists and locals showcasing the ‘hidden gems’ – the unique small businesses – of Neukölln. 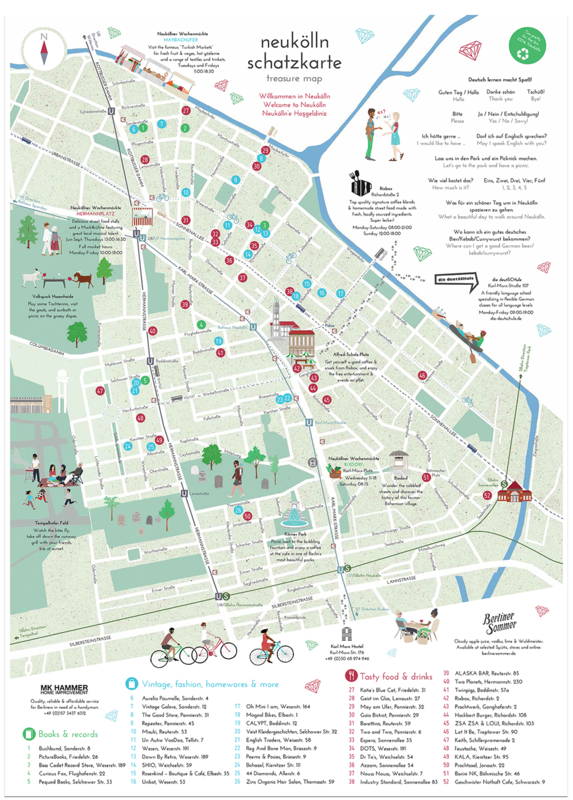 I was co-founder (alongside Rag And Bone Man) and creative director of the map and its associated projects from its inception in 2013 until 2015. 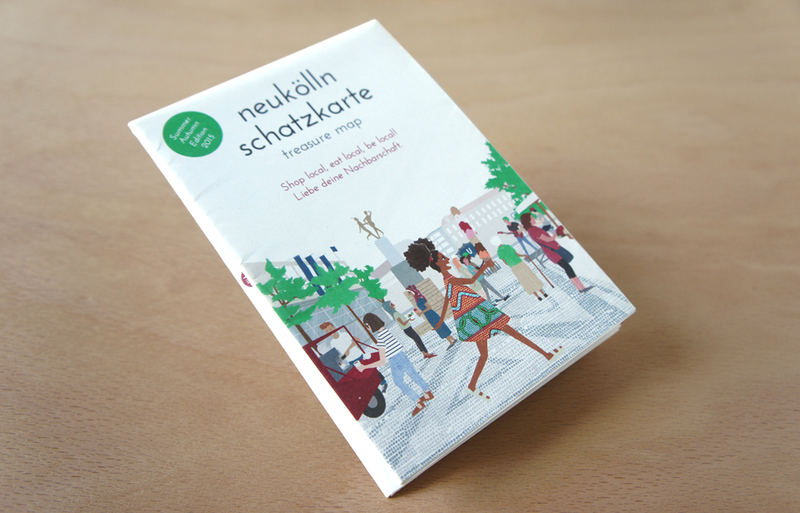 I developed, illustrated and designed all 5 editions of the Neukölln Schatzkarte (collaborating with designer Tabea Hughes on the 2015 Winter and Summer editions). 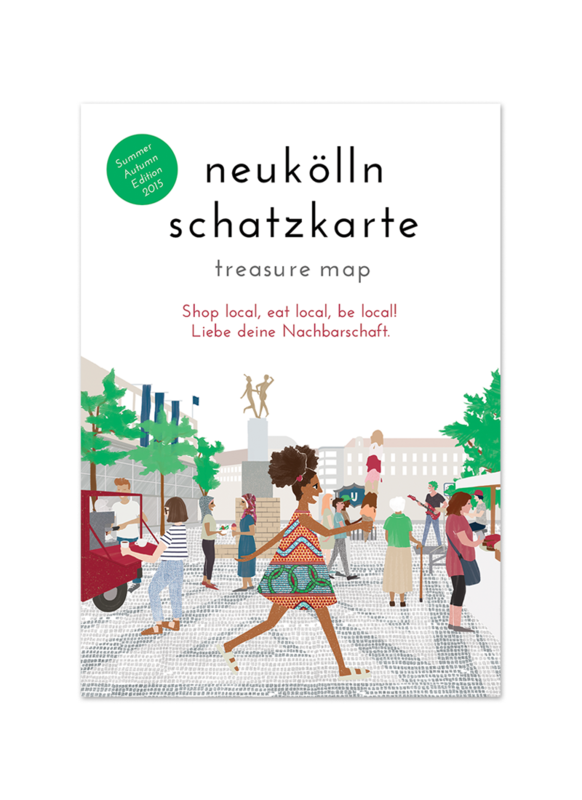 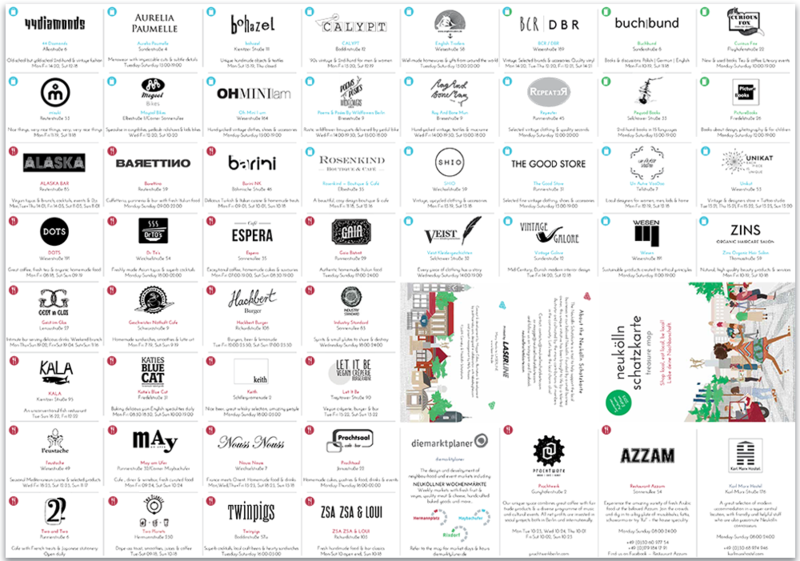 All editions featured vibrant local producers, boutiques and cafes, and the maps were carefully printed locally on recycled paper. 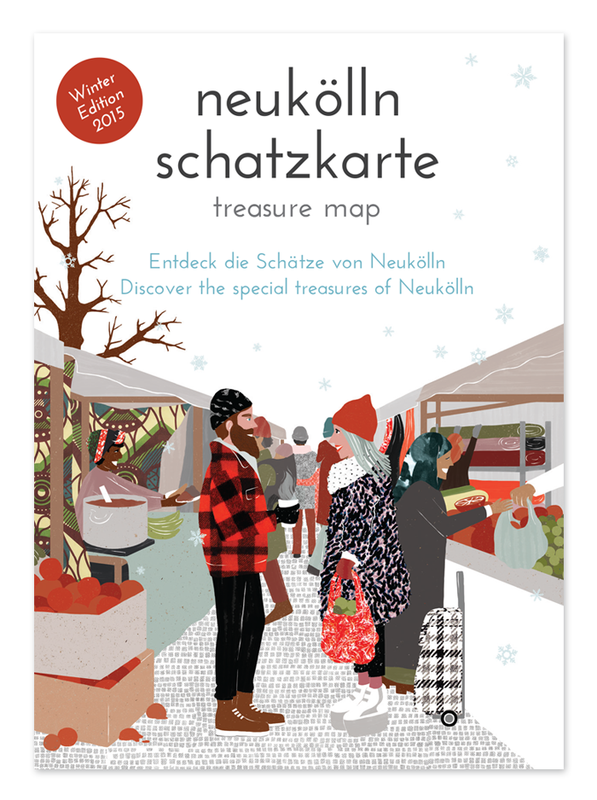 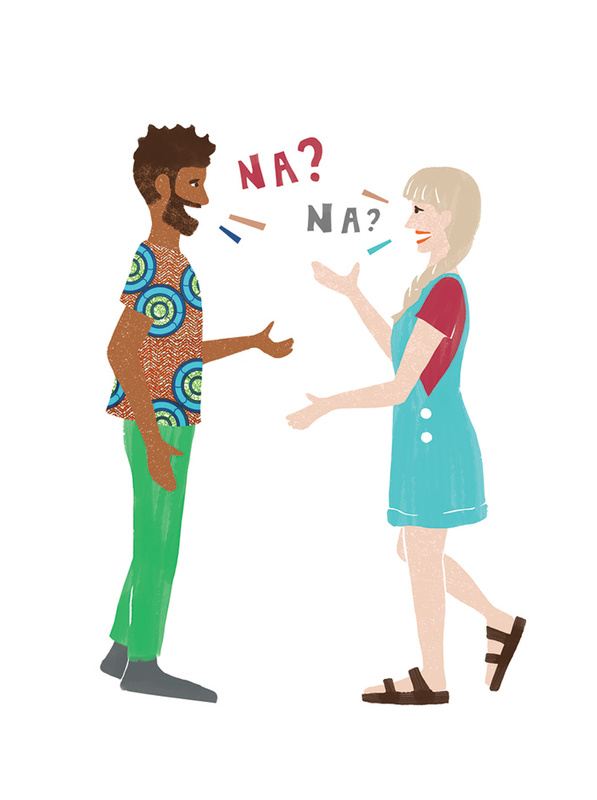 I also created numerous spot and feature illustrations for the NS Facebook page and social media.